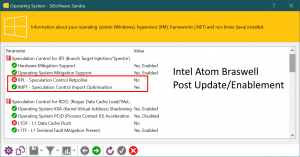 It is a mitigation against ‘Spectre‘ 2 variant (BTI – Branch Target Injection) that affects just about all CPUs (not just Intel but AMD, ARM, etc.). 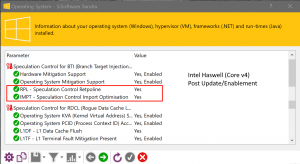 While ‘Spectre’ does not have the same overall performance impact degradation as ‘Meltdown‘ (RDCL – Rogue Data Cache Load) it can have a sizeable impact on some processors and workloads. 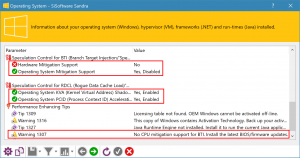 At this time no CPUs contain hardware mitigation for Spectre without performance impact. Retpoline (Return Trampoline) is a faster way to mitigate against it without restricting branch speculation in kernel mode (using IBRS/IBPB) and has recently been added to Linux and now Windows version 1809 builds with KB4482887. 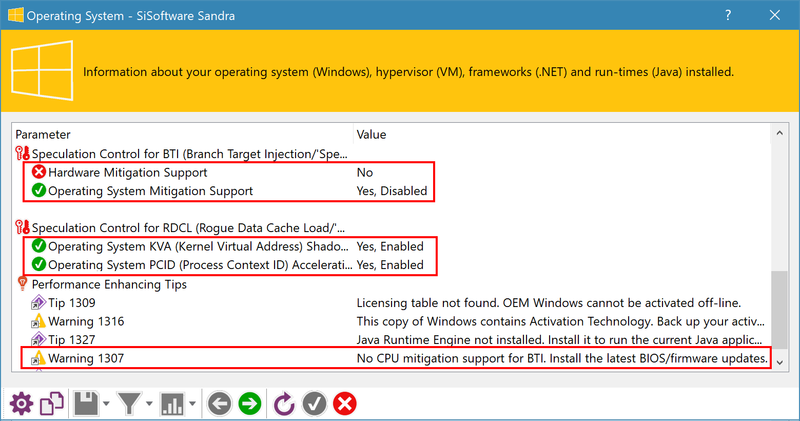 Note that it still needs to be enabled in registry via the Mitigation Features Override flags as by default it is not enabled. 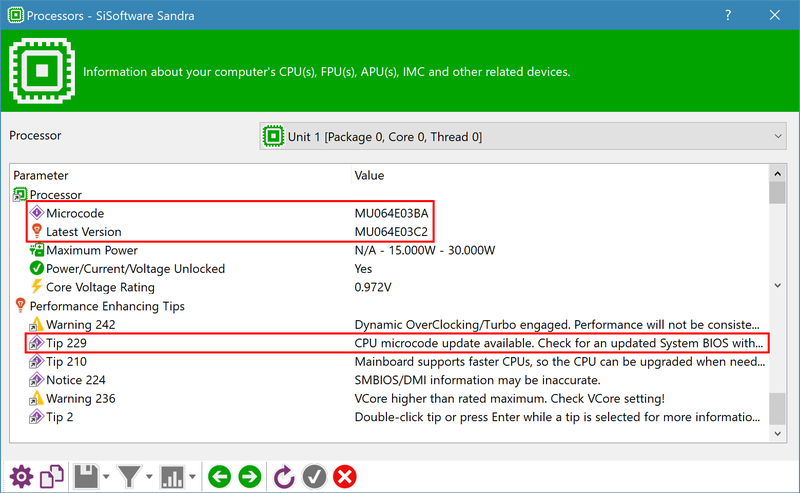 What CPUs can Retpoline be used on? 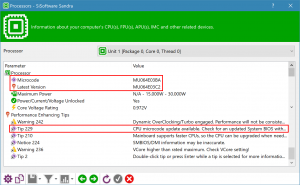 Unfortunately Retpoline is only safe to use on some CPUs: AMD CPUs (though does not engage on Ryzen, see below), Intel Broadwell or older (v5 and earlier) – thus not Skylake (v6 or later). 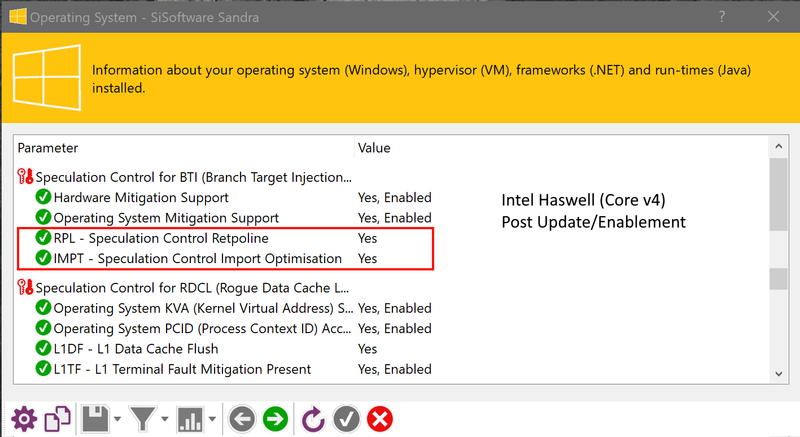 Intel Haswell/Broadwell (Core v4/v5) and perhaps earlier (Ivy Bridge/Sandy Bridge Core v3/v2) users are in luck, Retpoline is enabled and should improve performance; unfortunately KVA (Meltdown mitigation) remains. 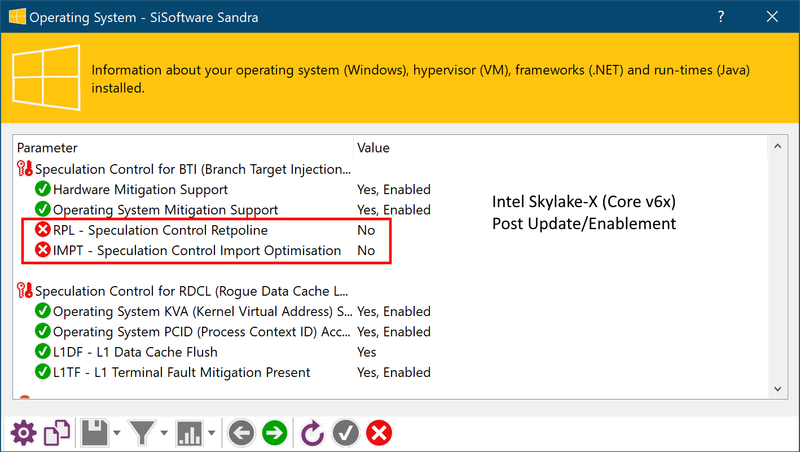 Intel Coffeelake-R (Core v8r refresh), Whiskylake ULV (v8r) users do benefit a bit more for their investment – while Retpoline is not enabled, KATI is enabled and should help. 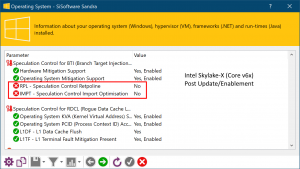 Not requiring KVA is the biggest gain of CFL-R.
Intel Skylake (Core v6), Kabylake (v7) and Coffeelake (v8) are not able to benefit from Retpoline but KATI can work on some systems (driver dependent). 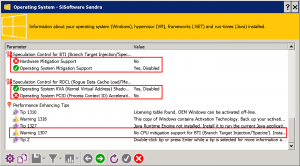 However, on our Skylake ULV, Skylake-X test systems KATI could not be enabled. We are investigating further. 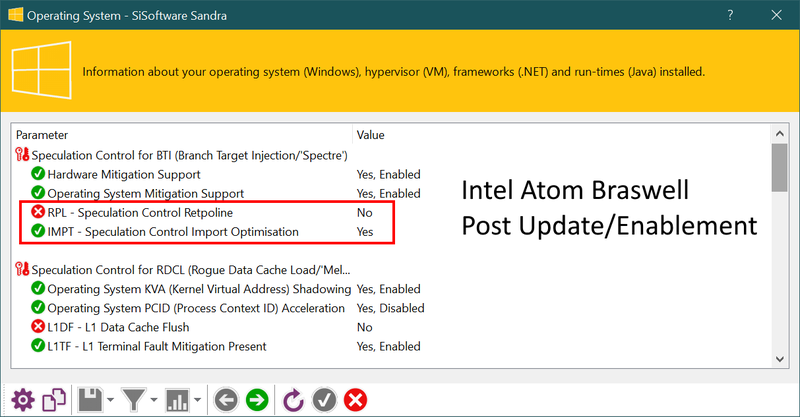 Intel Atom (v4/v5+) users should be able to use Retpoline but it seems it cannot be enabled currently. KATI is enabled. 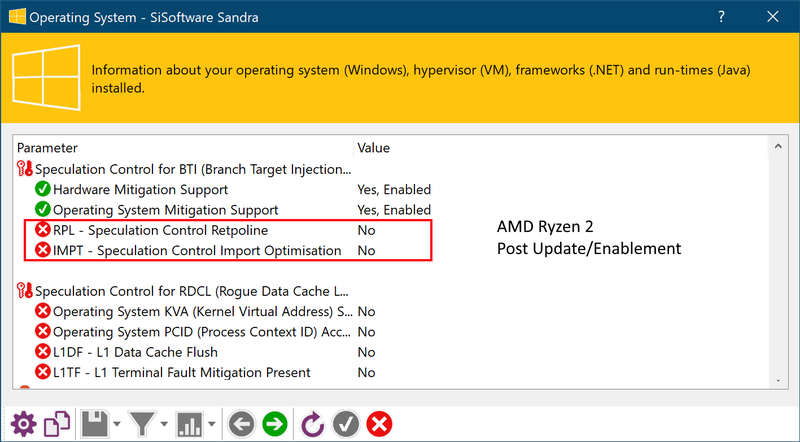 AMD Ryzen (Threadripper) 1, 2 users should also be able to use Retpoline but it seems it cannot be enabled currently. 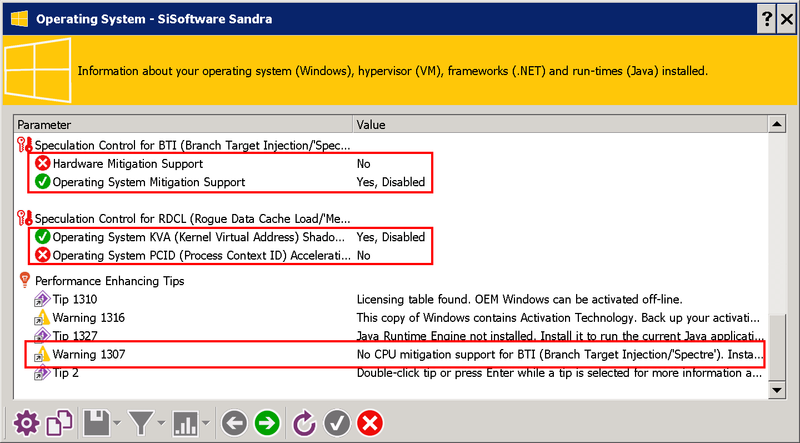 While KVA is not required, mitigations for Spectre v2 are required and should be enabled. We are investigating further.